Jose Mourinho's men treated their gaffer with the best possible birthday gift at Huish Park when the Red Devils ran out comfortable 4-0 winners during their FA Cup fourth-round fixture against League 2 outfit Yeovil Town. United were on the receiving end of a bit of pressure in the early stages but completely turned the tide in their favour as the game progressed. Marcus Rashford broke the deadlock for the visitors right at the stroke of half-time and United added more to their tally on the night, courtesy of second-half goals from Ander Herrera, Jesse Lingard and Romelu Lukaku. The Pole started the game as a commanding presence at the back but by the end of the proceedings, Krysiak had to fetch the ball from his own net as many as 4 times to sum up the story of the night for the hosts. The Welshman did not have the best of games and was involved in a huge mix-up that led to United's opening goal towards the end of the first half. James faced the mammoth task of dealing with United's latest high-profile acquisition in the form of Sanchez and did not muster anything significant from the same. The towering defender, who grabbed the headlines before the game due to the adaptability that has seen him play as a striker during numerous occasions for the hosts, emerged as a threat from set-pieces. Sowunmi failed to cause any other significant trouble for United and could not prevent the visitors from running riot in the second half. Booked. Smith was a bit of a loose cannon on the night and was partly at fault for conceding United's opening goal on the night. The defender succumbed to the pressure on a few instances and was kept on his toes by the likes of Sanchez and Rashford. The full-back was sumptuous in his approach on the night and proved to be a handful for the likes of Mata and Darmian on the right flank during countless occasions. However, Dickson could not prevent United from opening the floodgates in the second half. 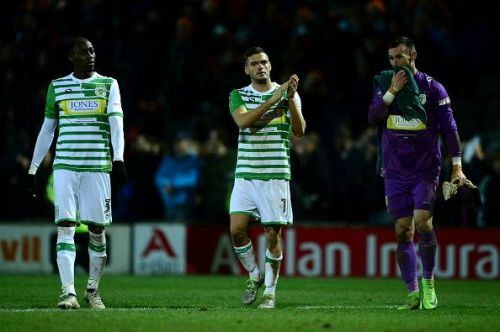 Green had an excellent opportunity to put Yeovil ahead in the early stages, when he was played through on goal. However, the midfielder hit it straight at Romero and would be feeling gutted for not taking his chance and forcing the initiative on the visitors. The midfielder failed to establish any sort of authority down the middle of the park for the hosts and was forced to track the daring runs made by United attackers as the Red Devils continued to grow in confidence as the game progressed. Bird struggled in midfield against the likes of McTominay and Herrera, who both managed to do a successful job in steam-rolling things at the centre of the park for the visitors. The midfielder struggled as the game progressed and was replaced early on in the second half. The youngster was quite easily Yeovil's brightest spot in a rather dull game. Gray's ability from set-piece situations were unmatched and he offered pin-point delivery everytime he was offered a chance. However, his efforts were not met with the right conviction by his teammates. Zoko did not resist himself from having a go at the defenders early on in the first half but he was let down by some poor finishing that would go on to wipe away Yeovil's chances on the night. The striker on loan from Bournemouth also failed to hit the mark on the night and would feel that he should have done better with the chances that came to him in possibly the biggest game of his career yet. Browne was introduced in the 56th minute for Bird and he could not provide any resistance whatsoever to United's scintillating second-half display. The Glovers' new signing arrived at Huish Park only in the morning after signing from Motherwell and started the game on the bench. Fisher made a brief appearance in the second half but could not leave any significant impact on the game. Came on in the 83rd minute to replace Lewis Wing, but didn't have enough time to influence the game. 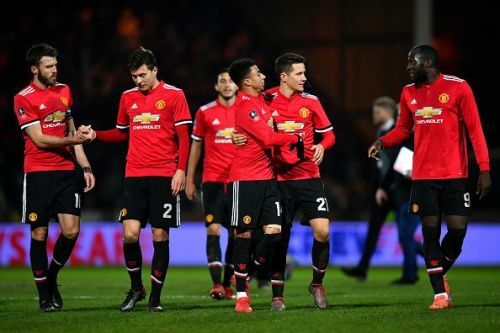 FA Cup 2018-19: How Manchester United could line-up against Wolverhampton Wanderers?